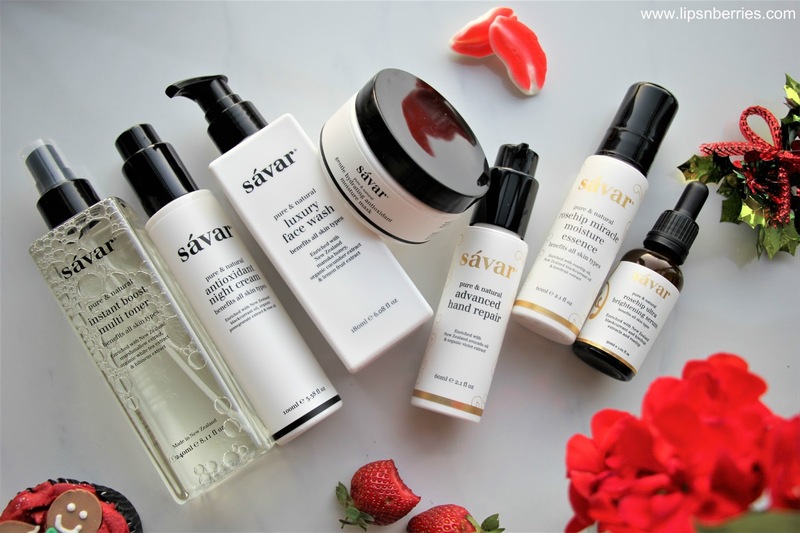 5/5 Indulge in best luxury Skincare that NZ has to offer- Savar Skincare, Living Nature, O Cosmedics, Ultraceuticals | LIPS n BERRIES! 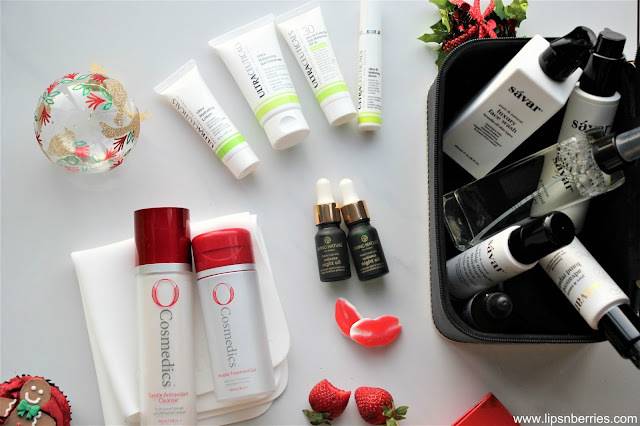 I'm ending my Christmas gift guide series for 2017 with a post on the most indulgent stuff- Skincare. If you've been following me for a while, you know I'm a skincare addict. I like to use products that have proven science behind it. Stuff that works. I also don't like to spend a fortune on skincare, none of that La Prairie stuff. Ahhh..the love of my life! I adore everything that Savar makes. A brand born and bred in NZ, Savar is proud of its NZ roots and has the best of pristine NZ in their luxurious products. Many of their products are a staple in my skincare routine and continue to be repurchased year after year, specially their Multi Boost Toner (best thing ever for dry skin) & their Rosehip Ultra Brightening Serum. If you check out their website, you'll be spoiled for choice. They do the best combo deals and skincare sets. 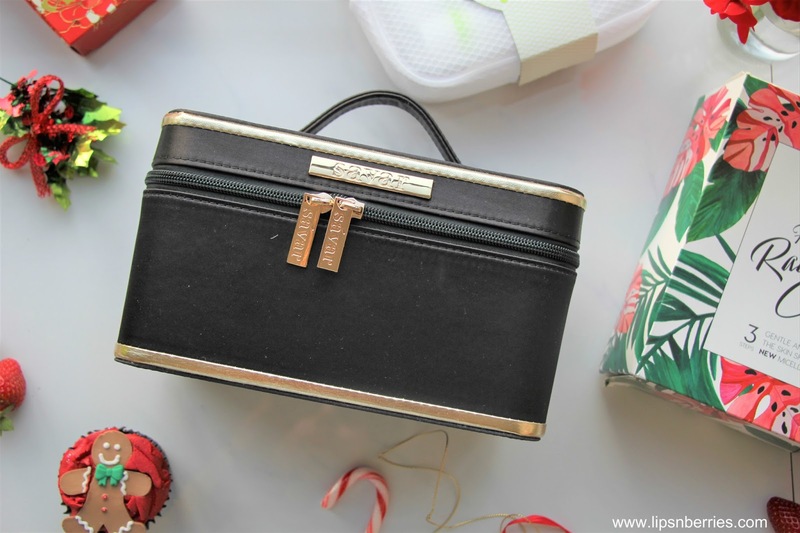 All your skincare needs neatly tucked into elegant cosmetic bags. It's truly a luxury skincare. This year they've come out with their biggest and best skincare sets. Like honestly look at this beauty! A beautiful black (& sturdy!) 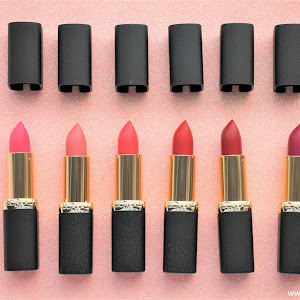 cosmetic case that has all the skincare you'll need + more. 2. Luxury Face Wash 180 ml- Beautiful citrusy foamy cleanser that gives you clean skin without drying it out. Review here. 3. 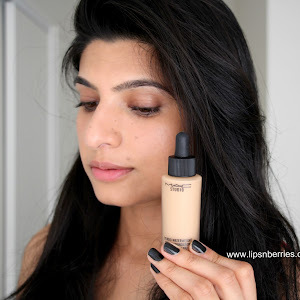 Rosehip Ultra Brightening Serum- My favorite serum that I use every night. 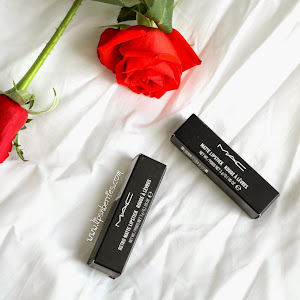 You can read my full review on it here. 4. Antioxidant night cream- Gentle soothing night cream with the goodness of NZ Blackcurrant seeds oil and Pomegranate, both rich in essential fatty acids for optimum skin nourishment. 5. Gentle Hydrating Moisture Mask- This is a very unique mask, different from what you are used to. Its a cream, that you apply for some time and then rinse off. I admit I leave it overnight as it absorbs beautifully and gives me hydrated plump skin the next morning. 6. 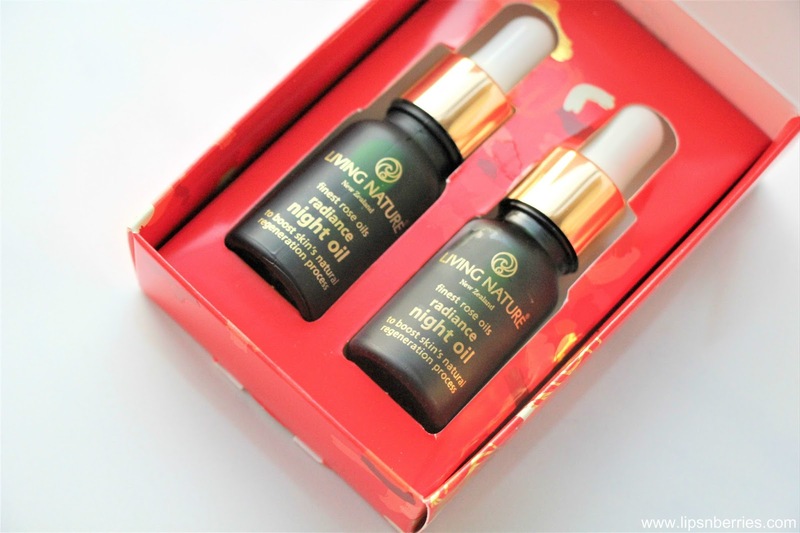 Rosehip Miracle Moisture Essence- If you are not a fan of heavy moisturizers, this moisture essence is part moisturizer and part serum. I've used it in place of serum as it has similar gel consistency. Works just as well too. Can be used both day and night. More detailed review of it here. 7. Advanced Hand Repair Cream- Oh you'll love this! This smells so beautiful and botanical. Not over the top scent that I detest in hand creams. As I usually apply hand creams at night, I prefer not to use heady fragrances. This one is mild and perfect for the job. 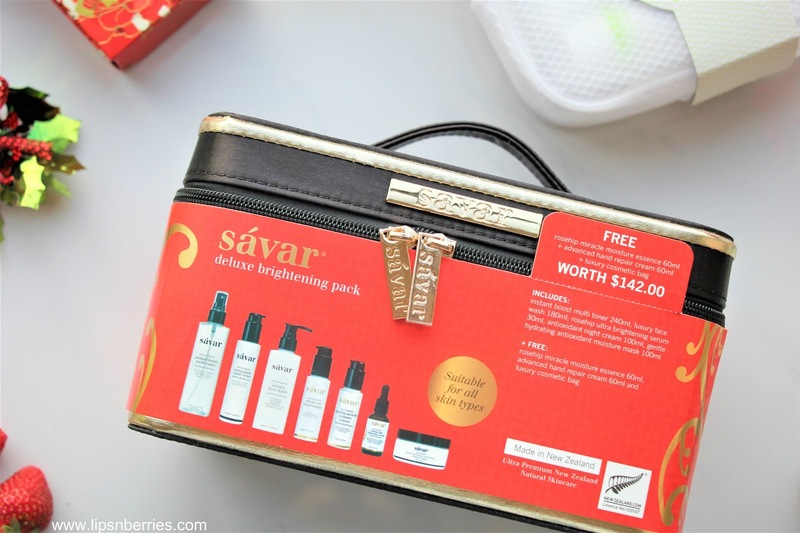 Savar is 100% natural, made in NZ, eco-conscious, ethical and cruelty free. 2. 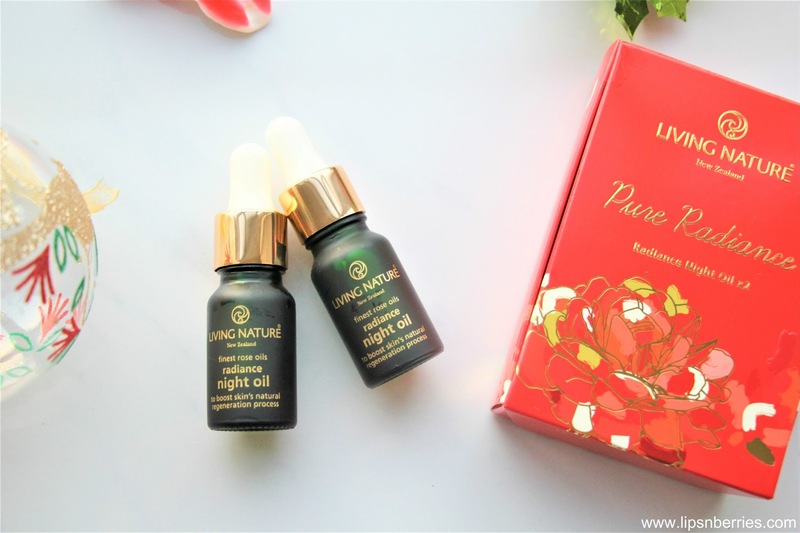 Living Nature Pure Radiance Night Oil Pack- $79 for 2x 10ml Radiance Night Oils. My love for Roses and Oils is real, so when the Living Nature team said they'd like to have their Rose Blend Oil included in my gift guide, I was on cloud nine. Lemme tell you it smells amazing, like next level amazing. For a skincare that's made in NZ and so luxurious, I just couldn't resist them. This little gift set has double the dose of Living Nature Pure Radiance Rose Oil, a blend of Organic Rose, Rosehip. Calnedula, Jojoba and Frankincense oils. This pack is a perfect gift for anyone who loves oil based skincare. I've been thoroughly enjoying the oil as my night time skincare, over Savar Rosehip Brightening Serum. You get the flow right? All things roses! Even in my summer garden at the moment. This oil set will make a great stocking stuffer too. 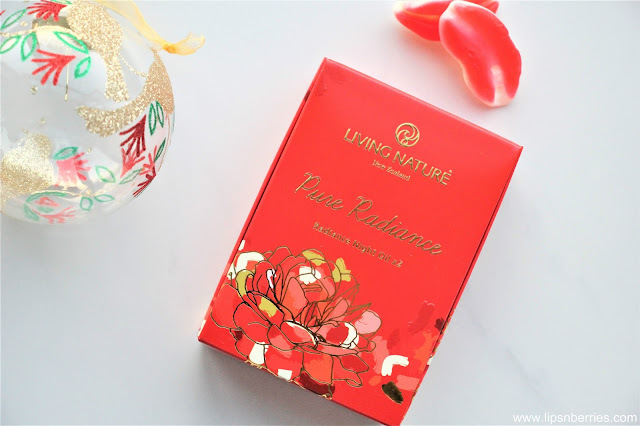 Living Nature has many other Skincare and Natural Makeup as gift sets on their website. Check them out for all things natural. Living Nature products can be purchased from their official website or various leading pharmacies nationwide. 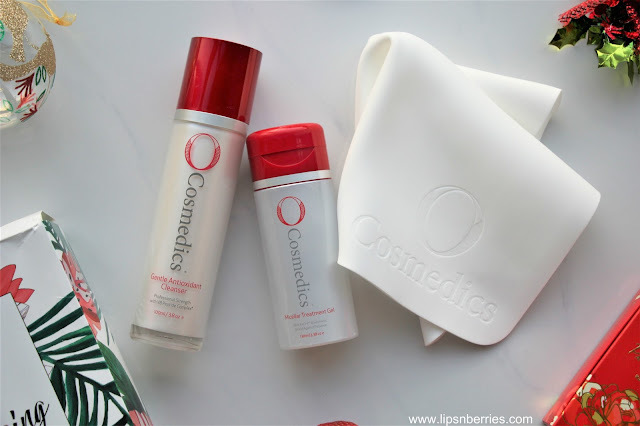 Count on O Cosmedics for skincare that has proven science behind it. Being a science nerd, there is nothing that excites me more than hearing familiar chemical names. 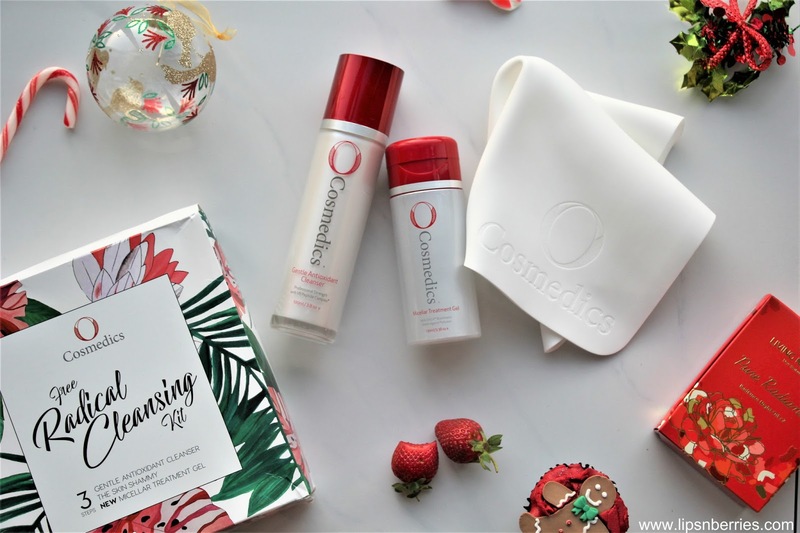 O Cosmedics blends purest combinations of medical grade ingredients and cosmetic science in harmony with nature (their words, not mine but what a beautiful way to describe the skincare range). Their products are based on high quality science and countless clinical research, so you can be sure the product you are putting on your skin is very potent and very effective. They are formulated in Australia. I've been sent to try out their Free Radical Cleansing kit & I'm super excited. 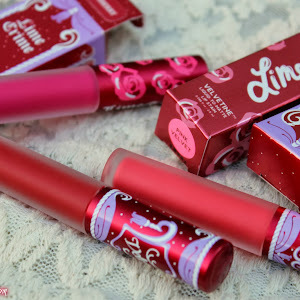 I will have its review on website when I feel like I've done justice to the product but for now I can tell you that the products look promising. The 3 step free radical cleansing kit has Gentle Antioxidant Cleanser, The Skin Shammy and a Micellar Treatment Gel. The products claim to remove dirt, oil, pollution and makeup to reveal healthy, luminous skin. The thorough cleansing step involves starting with some Gentle Antioxidant Cleanser massaged onto face and neck and then followed with dampened Skin Shammy cloth to remove dirt and makeup. After cleansing, the micellar treatment gel is to be applied onto skin. It creates a barrier shield against pollution, smog, cigarette smoke and premature aging. The kit promises healthy skin in just 7 days! How cool is that? 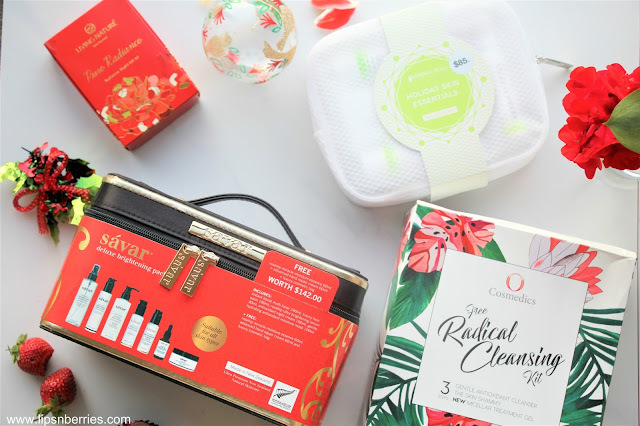 This 3 step pack retails for $112 NZD and is available from O Cosmedics beauty salon stockists until the end of December. All these products can be purchased individually from www.ocosmedics.co.nz . 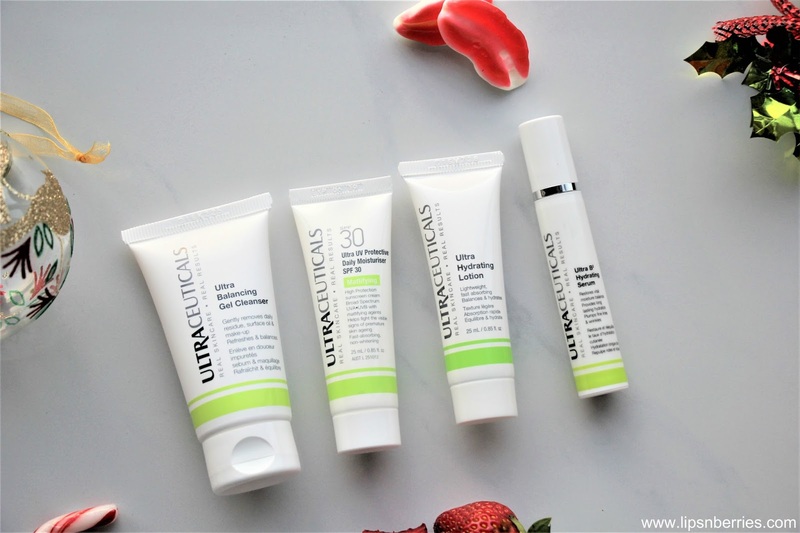 Another cosmeceutical skincare giant from Australia, Ultraceuticals relies on combination of sophisticated patented delivery systems and potent proven anti-aging stars like Vitamin A, Vitamin C and Alpha Hydroxy Acids (AHA's) to get skin results you can actually see. 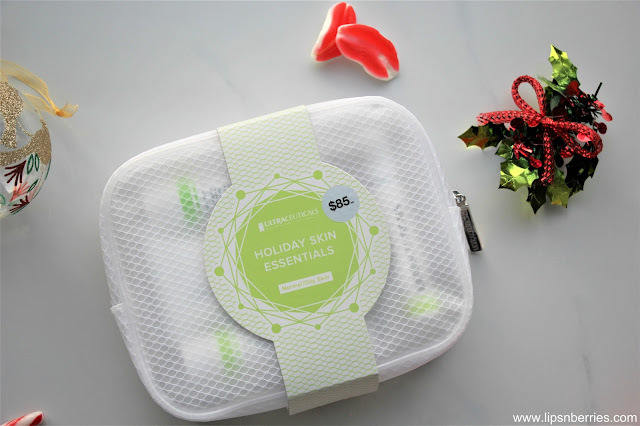 This holiday collection kit is probably one of the best skincare kit that covers all the basics. A gel cleanser, hydrating lotion, Serum and a mattifying SPF 30 daily moisturiser, all in an elegant white waterproof bag. The kit is also available in dry skin version.